Franco Morbidelli and Fabio Quartararo happy to let Lewis Hamilton try their new Petronas Yamaha MotoGP bikes - would love to drive Hamilton's Petronas Mercedes F1 car. Could the Petronas connection clear the way for Hamilton to finally achieve his MotoGP ambition, by getting a ride on the new team's YZR-M1s? Sepang CEO Razlan Razali replied that he wouldn't be surprised. "Working with Petronas, they are very aggressive in their engagement and activation," Razali said. "I would not be surprised if sooner rather than later they get Lewis Hamilton involved. For sure. 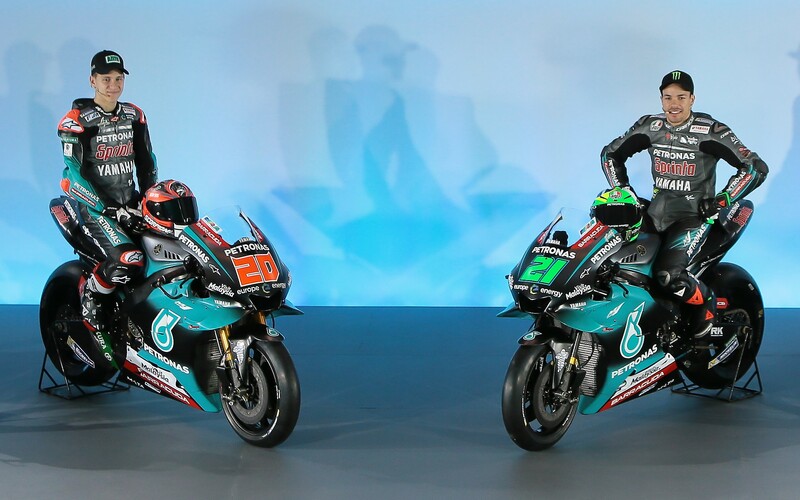 Earlier, Petronas Yamaha riders Franco Morbidelli and Fabio Quartararo had spoken enthusiastically about their new F1 connection. Morbidelli, preparing for his second MotoGP season after being crowned Rookie of the Year in 2018, said he would jump at the chance to try the Mercedes. "I would take it, for sure!" the Italian told Crash.net, just before Monday's team launch in Kuala Lumpur. "But if Lewis wants to try my MotoGP bike, I can give it to him right away! Even if I can't try the F1 car." Morbidelli added that he already does karting as part of his training, plus "some car drifting and 4x4 driving on snow" for fun. "It would be a dream to try his car! "I love Formula One. I do karting at home. I also like driving my own car, although I try not to go so fast on the street!" smiled the young Frenchman. 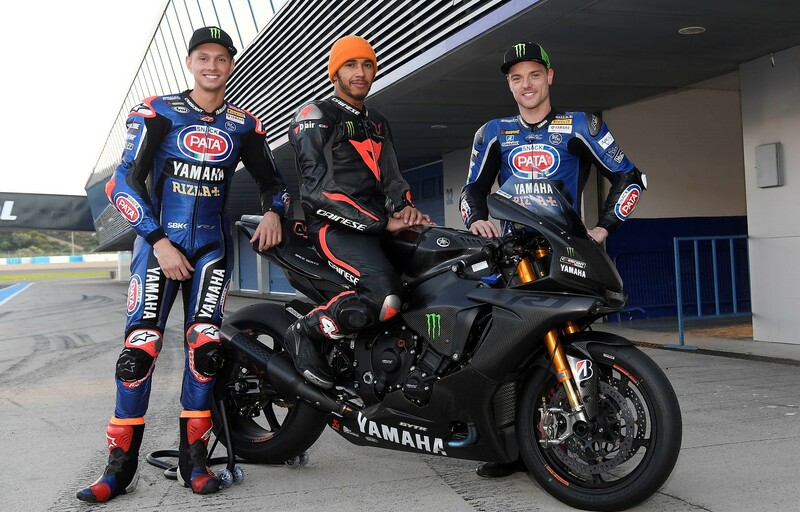 Hamilton was last on track with two-wheels in December, when he rode a Yamaha R1M superbike alongside WorldSBK stars Michael van der Mark and Alex Lowes at Jerez (pictured). The reigning five-time F1 champion also asked for an invite to Valentino Rossi's moto ranch, where Morbidelli - a VR46 Academy rider - regularly trains. Petronas Yamaha hopes that Morbidelli can challenge to be the top satellite rider and Quartararo the top rookie in MotoGP this season.